A new study from Dr. Hadland offers some of the strongest evidence yet of the connection between the marketing of opioids to doctors and the nation's addiction epidemic. His work found that counties where opioid manufacturers offered a large number of gifts and payments to doctors had more overdose deaths involving the drugs than counties where direct-to-physician marketing was less aggressive. This work builds on his prior research on the power of pharmaceutical spending to increase opioid claims. On Friday, October 26, 2018 the country's top experts on young adult addiction gathered in Boston at the invitation of the Grayken Center to spend a full day on one subject: creating a road map to better serve America's young people with substance use disorders. People aged 18 to 26 are the most likely to engage in prescription opioid misuse and have the highest prevalence of heroin use. Given the emotional and developmental issues inherent in this transitional age, it is also predictable that young adults are less likely to address their substance use or maintain their recovery. Adding to these challenges is the fact that the systems that treat addiction tend to be geared to older adults and rarely acknowledge the unique confluence of factors that impact recovery for teens and young adults. Experts also agree that focusing on young people could make the biggest impact on the opioid crisis, considering the statistics. Studies have shown that among all adults in treatment for opioids, one-third started using before age 18 and two-thirds started before age 25. 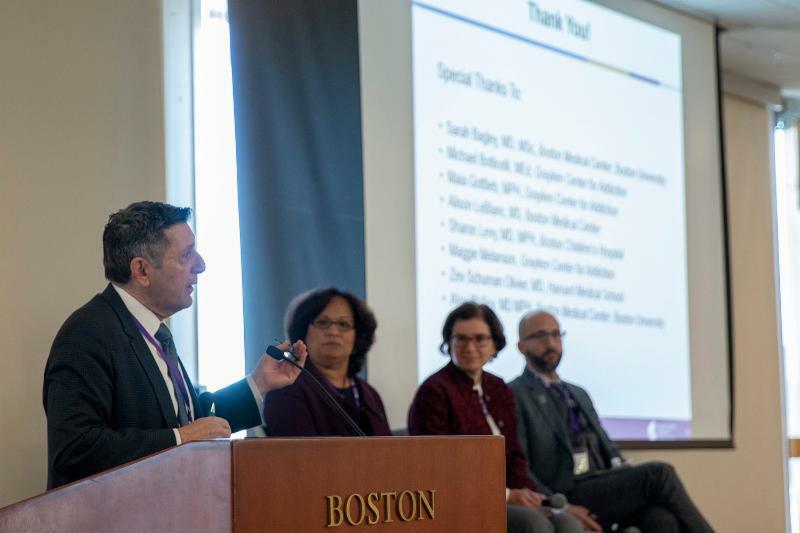 Faced with the task of developing a road map for care, the interdisciplinary group of 65 gathered for the day in conference facilities at Boston University's School of Medicine guided by an agenda aimed at providing evidence, provoking thought, and synthesizing content. The day began with greetings and context-setting by Boston Medical Center leadership including Grayken Center Director Michael Botticelli and BMC CEO Kate Walsh, who offered a spirited welcome to the audience. "If this group can't identify what we need to better serve our young people with addiction, I don't know who can." The expertise in the room included scientists, practitioners, administrators and advocates, who throughout the day rolled up their sleeves in facilitated breakout sessions on a series of themes that frame the young adult addiction landscape, including: the intersection with the criminal justice system; evidence-based treatments; co-occurring mental health disorders and exposure to trauma; engaging families; harm and risk reduction; and the role of young adult support services. Woven throughout the day were presentations and large group discussions to inform the session work. Helping to set the stage among the day's introductory speakers was a young woman in recovery who gave an honest and powerful testimony of her journey. Lina Abdalla is currently a graduate student at UMass Boston and a leader and coach in the collegiate recovery program. Her multi-year journey to recover from a heroin use disorder included what many young adults with addiction experience: near death from overdose; several attempts at treatment; denial that her problems may be long-term; supportive but frustrated parents; incarceration and involvement with the criminal justice system. It was drug court, the treatment-based alternative to parole, that was the breakthrough pathway to recovery for Lina. "I remember sitting there and the attorney came to see me saying they had offered me drug court and I said, 'Why can't I just do regular probation again?' I had this real deep denial. The attorney had to draw it out for me. He said, 'You did regular probation, you did OCC probate, this is your last offer.'" Lina went into residential treatment and from there into subsidized housing which gave her the opportunity to go back to school. At UMass Boston, she met her mentor, a director in health, education and wellness who understood her story. It changed her life. She applied to graduate school and was accepted. "It was the people who believed in me that got me to where I am today." Fresh from hearing this real-world experience, the first panel explored the evidence that sets young adult substance use disorders apart. The discussion was preceded by a presentation by Jon Zibbell, PhD, a public health scientist who spoke about trends and characteristics within current young adult drug use. Zibbell noted that the opioid crisis is changing dramatically and that, for young people, it is less about opioid use and more about illicit drugs like heroin and fentanyl. Zibbell told the group that "our people," (ie, young adults), are also taking a combination of drugs; often unknowingly due to the mixture of substances within synthetics. Cocaine, benzodiazepines and cathinones like "molly" are on the rise, stronger and cheaper than in previous decades. These drugs also lack evidence-based medications. Zev Schuman-Olivier, MD, who is the Executive Director of the Cambridge Health Alliance Center for Mindfulness and Compassion and an instructor of Psychiatry at Harvard Medical School, spoke first about the unique emotional, developmental and neurological issues within this population group. "It is helpful to look at this developmental period as the "in-between" time, said Schuman-Olivier. "It is an age of instability - of moving between things." Dr. Sharon Levy, MD, MPH a pediatrician, challenged the notion that addiction and pediatric primary care have little connection. Levy said that, despite these facts and the differentiating factors Zibbell and Schuman-Olivier identified, people within this age group are often placed in adult care settings with providers who are not necessarily recognizing of their needs. She believes this partly explains why transitional age people do more poorly in care. As a consultant in health and human services, Carolyn Castro-Donlan, PhD believes families are the strongest voice available in advocating for system change due to the leverage they hold before thought leaders and decision-makers. After the first breakout session, the group came together again to hear from Kathleen Meyers, PhD, and Deputy Project Director of the SAMSHA National Evaluation of the State Targeted Response to the Opioid Crisis. While she was asked to discuss "Defining Success for Young Adults with SUDs," Meyers deliberately produced more questions than answers. She encouraged the group to question current measures and assumptions, to challenge how health care systems are serving young people with substance use disorders, and to think for themselves about how success is defined. "We've got an entire system that is working against young people and then we blame the kid," said Meyers who challenged the group to think more broadly about metrics and outcomes. In a brief "lightning" talk, Claudia Haupt, PhD, JSD, and an Associate Professor of Law and Political Science at Northeastern University School of Law, tackled the controversial topic of involuntary treatment. There are significant legal questions regarding policies, now present in 38 states, wherein family members or concerned others are allowed to civilly commit an individual with a substance use disorder to particular facilities. Many have raised questions about the quality of care in these facilities, not to mention concerns around civil liberties. Ultimately, the challenge for the group of experts at the Summit was to synthesize what was discussed and draw on their own diverse experiences to create a set of clear prerequisites for optimum care. To facilitate a discussion, BMC called on Joshua Sharfstein, MD, Professor of Department of Health Policy and Management at the Johns Hopkins Bloomberg School of Public Health. 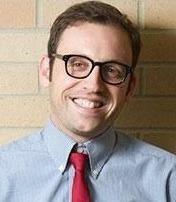 Sharfstein skillfully synthesized the content from the breakout sessions and guided a lively discussion. At the close of the session, participants agreed on over a dozen principles that would serve as the basis for a final document and, ultimately, publication. Employers seeking to support members of their workforce affected by the opioid crisis can now refer to a free online set of resources created by The Grayken Center for Addiction. 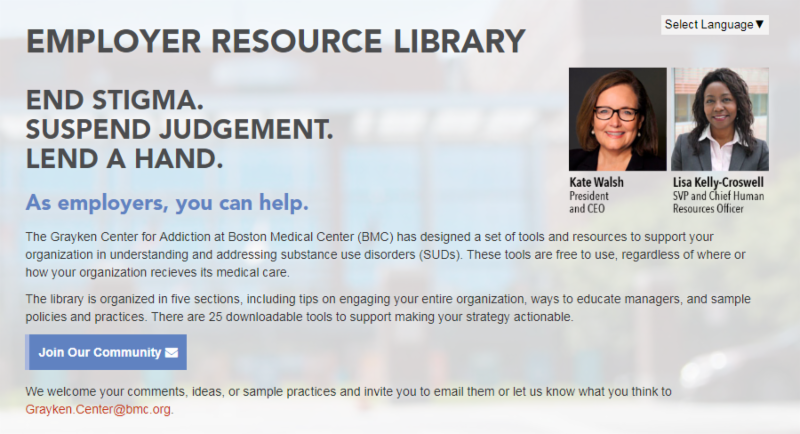 The Employer Resource Library, which was launched in September at a Boston Chamber of Commerce event, provides direction and tools for organizations to reach out and support employees who are struggling with their own or their family members' issues related to substance use disorder. The Library consists of over 25 educational modules that cover issues such as: surveying employees about substance use and mental health disorders; working with health insurers to obtain adequate, evidence-based coverage for substance use and mental health services; addressing stigma; and linking employees to resources. "No workplace is immune to substance use disorders, and it is critical for organizations to prioritize this issue and provide resources that best support their employees' needs," said Lisa Kelly-Croswell, BMC's senior vice president and chief human resources officer. "We hope that BMC's efforts and experiences will help other employers confront this public health issue in a meaningful, non-judgmental way." Adding to the devastation the opioid crisis has had on families and communities is the significant economic impact that's occurred simultaneously. In Massachusetts, calculations from the Massachusetts Taxpayers Foundation put the cost of lost productivity and wages at over $70 billion since 2000, and the cost of slowed economic growth at an average of $7 billion per year over the past five years. Nationally, the Council of Economic Advisors put the national economic costs of the opioid epidemic at $504 billion as of 2015, or 2.8% of the GDP. 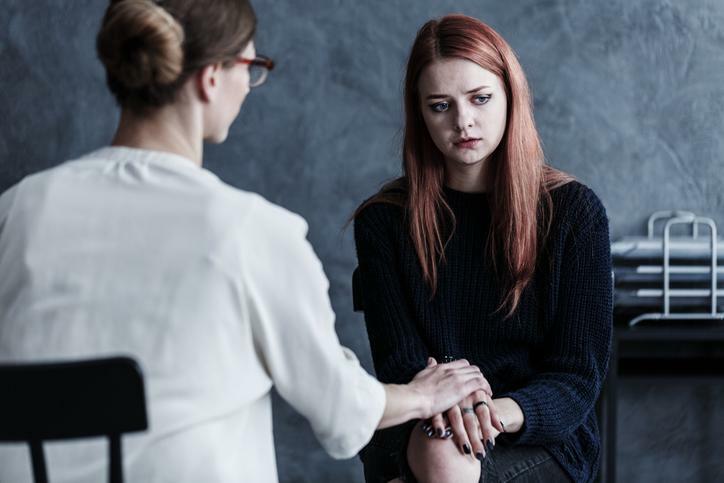 Employers can play a critical role in addressing the crisis and providing pathways for support and treatment, yet few organizations have the information they need to address substance use disorders affecting their employees. The workplace is also where most people receive insurance, but ensuring health plans have the right policies, and navigating the complexities of insurance coverage, can be barriers to treatment. Stigma and fear of asking for help are still pervasive in the workplace and keep people from getting the help they need. The Employee Resource Library was created to address all of these issues. It was developed through Boston Medical Center's examination of its own employees' needs and experiences. Initiatives that were created at the hospital as a result include: the "Words Matter" pledge outlining how certain words can hurt the chances for treatment and recovery for a person with a substance use disorder; creating better employee understanding of available insurance coverage for treatment; hosting support groups for employees whose family members are affected by substance use issues; and centering the organization's drug and alcohol policies around employees' health. "We very quickly understood that the practices we were developing at BMC would be valuable for any organization," said Michael Botticelli, Director of the Grayken Center. "The organizations that are using it are not only better supporting their workforce, they are acknowledging the large role that employers can play in fighting this epidemic." This article was originally published by STAT: https://www.statnews.com/2018/07/05/methadone-prescribed-primary-care/ on July 5, 2018. Opioid use disorder, which claims 115 lives a day by overdose in the United States, is a complex, chronic medical condition, but one that can be successfully treated with proven medications. And yet, one of the oldest and most effective medications to treat this disorder - methadone - is out of reach for many people, largely due to outdated federal laws. Of the three medications approved by the Food and Drug Administration to treat opioid use disorder, federal law relegates only methadone to be dispensed in separate clinics apart from the general health care system. It's not unusual for methadone clinics to be in out-of-the-way locations and often inaccessible by public transportation, especially in rural and suburban communities. When individuals trying to treat an opioid use disorder can't get to a methadone clinic on a daily basis, they can't get treatment. The other two federally approved medications, buprenorphine and naltrexone, can be prescribed and administered in primary care settings, where treatment can take place as part of an overall clinical care plan. Methadone is typically taken daily in a highly structured setting, an approach that benefits many patients. But methadone should be treated no differently than other FDA-approved medications for opioid use disorder. As we write in the New England Journal of Medicine, it's time for Congress to remove this barrier to treatment and allow methadone to be prescribed in primary care settings, as well as in existing standalone clinics. Only about 20 percent of Americans who have an opioid use disorder are being treated with buprenorphine, naltrexone, or methadone, a woefully small percentage that shows the extent of the barriers to treatment that we need to remove to stop this public health crisis. Restricting the availability of methadone to designated clinics has contributed to this treatment gap. Methadone has been available by prescription in primary care clinics in Canada since 1963, in Great Britain since 1968, and in Australia since 1970. In these places, methadone is the most commonly prescribed treatment for opioid use disorder, and it isn't controversial because it has been shown to benefit the patient, the care team, and the community. Methadone works. In a 2017 review of all causes of death among people with opioid use disorder, those receiving this medication were one-third less likely to have died during the study period than those not treated with methadone. Methadone is a synthetic opioid that reduces cravings and withdrawal symptoms for heroin and other opioids. Developed in 1937 as a pain medication, it was first studied as a treatment for heroin addiction in New York City in the 1960s. By the 1970s, the system for delivering methadone that we know today had been fully developed. Patients visit a designated clinic, typically every day, take methadone under observation, and get specialized, highly structured care, including counseling and periodic drug tests. The methadone clinic model was carved into law in the United States in 1974, when Congress passed the Narcotic Addiction Treatment Act. The regulations around methadone, driven by fears of accidental overdose and diversion, evolved in such a way that primary care physicians almost never delivered methadone treatment. Stigma and a not-in-my-backyard mentality resulted in the placement of a sizable number of methadone clinics in locations that were hard for many to reach. The last time Congress expanded access to medication for opioid use disorder in primary care was when it passed the Drug Addiction Treatment Act of 2000. It allowed physicians to prescribe and administer buprenorphine in their offices, making this medication more available to thousands of patients. But the barriers to the delivery of methadone remain intact. Methadone has saved many lives and could save many more. Several studies have shown that methadone treatment in a primary care setting is both feasible and successful. In rare cases, it has been allowed in primary care offices. Our experience in Boston over a 10-year period with a limited number of patients who received methadone treatment in a primary care setting after being stable in a methadone clinic was excellent, with no adverse incidents. We call on Congress to allow methadone treatment to be delivered in primary care settings, as well as through special methadone clinics. That would be just the beginning. We also need to enhance physician training about opioid use disorder, create incentives for prescribing medications to treat it, and integrate treatment into existing models of care. From the federal government down to community partners, we are all desperately searching for solutions to stem the opioid epidemic. Increasing the availability of medications that can effectively treat opioid use disorder - including methadone - will be essential if we are to succeed in saving lives. Jeffrey Samet, M.D., is the chief of general internal medicine at Boston Medical Center and a professor of medicine at Boston University School of Medicine. Michael Botticelli is the executive director of the Grayken Center for Addiction at Boston Medical Center. 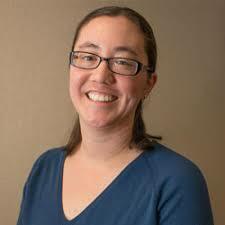 Monica Bharel, M.D., is the commissioner of the Massachusetts Department of Public Health. Medication for Addiction Treatment (MAT) has proven to be highly effective in addressing substance use disorder, yet only a fraction of those who could benefit from it are receiving it. One hurdle is that health care professionals must be authorized by the Drug Enforcement Administration (DEA) to prescribe addiction medications like buprenorphine. Under DEA regulations, providers must be "waivered" to prescribe MAT. The Grayken Center launched an initiative that makes Boston Medical Center a leader among hospitals nationwide by implementing universal waiver training for physicians and other medical professionals across all of its primary care departments. The importance of the waiver training goes beyond prescribing MAT, and establishes BMC's commitment to reducing the stigma around treatment of SUD and creating an environment where there can be an open dialogue between patients and all providers, leading to better care. "The urgency of the opioid crisis means we have to accelerate everything and provide access to evidence-based medications when and where our patients show up." said Colleen Labelle, Director of Office Based Addiction Training and Technical Assistance and of the Opioid Addiction Treatment ECHO at BMC. "Part of that effort involves making sure we train all providers, giving them the knowledge to have conversations with patients about substance use and facilitate seamless access to treatment. It's also an important part of ensuring that providing addiction care isn't optional but becomes a standard part of medical practice." BMC has already completed Phase 1 of this effort, which involved training all general internal medicine residents. Family medicine providers have also been trained. Trainings are underway for residency instructors and emergency department clinicians and next up are OB/GYN physicians and nurse practitioners, family medicine residents and general internal medicine physicians. Boston Medical Center's Addiction Medicine Fellowship is among the first-ever to be certified by the Accreditation Council for Graduate Medical Education (ACGME). The decision reflects a growing recognition of the importance of formal addiction medicine training tracks given the severity of the nation's opioid crisis. 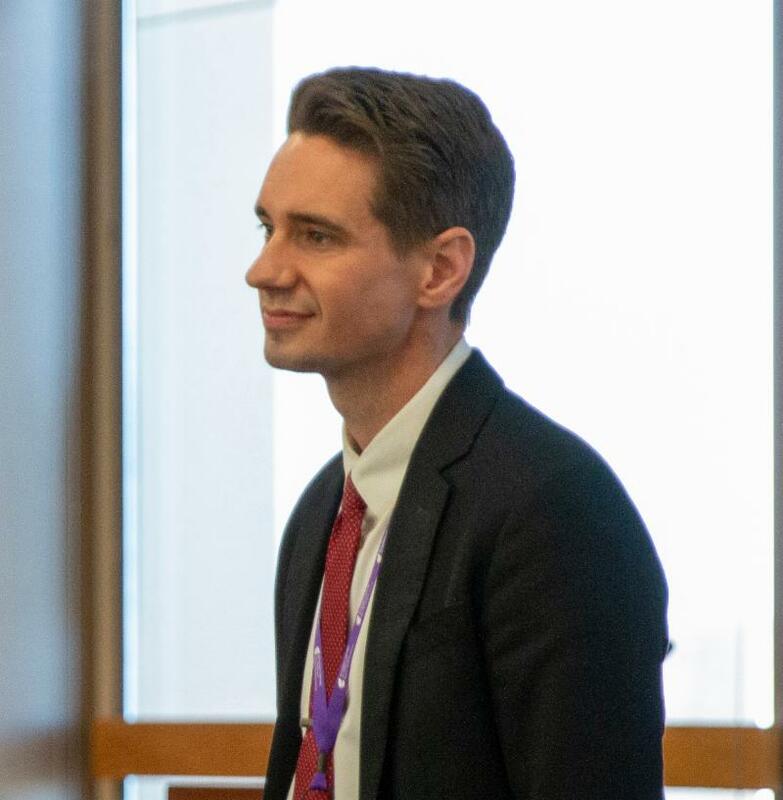 "This accreditation is a welcome milestone in the field of addiction medicine and one that can't come soon enough given the pace of the opioid crisis in this country," said Boston Medical Center Program Director Alexander Walley, General Internal Medicine. "We're proud that our program is among the first." The Addiction Medicine Fellowship Program at BMC is a 1 or 2 year fellowship. Year 1 is focused on fulfilling the requirements for board certification in addiction medicine. Year 2 is focused on mentored research projects and typically includes a Master's of Science in Epidemiology or Health Services Research. There is also a 3-year combined Infectious Disease-Addiction Medicine Fellowship. Scott Hadland, a pediatrician and addiction specialist at Boston Medical Center and Boston University School of Medicine, has made improving care for young people with substance use disorders the focus of his life's work. Fortunately, that work will continue for some time, as despite his achievements, he's just beginning his career. With his medical degree from Washington University in St. Louis, and degrees from Johns Hopkins Bloomberg School of Public Health, the Harvard T. H. Chan School of Public Health, and McGill University, Dr. Hadland's work could have gone in many directions. The fact that he chose to work with one of society's most vulnerable populations is a testament to his passion for helping young people with substance use disorders, a severely underserved age group even as the nation steps up the battle against the opioid crisis. Dr. Hadland was drawn to this topic due to his background. "I grew up in Vancouver, Canada, home to North America's first supervised injection facility for people who use substances. In Vancouver, heroin and other substance use has been a subject of public discourse for as long as I can remember. 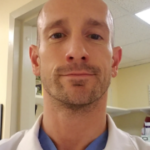 As a master's student, I received mentorship from Evan Wood, a leading researcher on substance use, and knew I wanted to become a clinician-investigator who treats and studies addiction. I came to realize that although increasing attention was being paid to addiction, very few people were paying attention to the time in life when most people first start using substances-adolescence-and decided to combine training in pediatrics and addiction medicine." At Boston Medical Center, Dr. Hadland's clinical practice is in the Center for Addiction Treatment for AdoLescent/Young adults who use SubsTances (CATALYST), a program that helps teens and young adults struggling with addiction access a range of services including primary care, behavioral health, and social supports that are key to their long-term recovery. 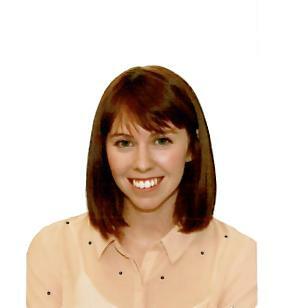 Dr. Hadland adds, "I've learned that youth need stronger advocates in the health care sector. We know that adults living with addiction experience enormous stigma when seeking care. This problem is even greater for youth, many of whom can't turn to their pediatrician or other trusted providers because professionals working with youth generally don't receive comprehensive training in how to manage addiction." Dr. Hadland's research has also significantly impacted the field. His work, including breakthrough studies on treatment gaps for young adults with SUDs, has been published in leading journals, including The Lancet, Pediatrics, JAMA Pediatrics, and Addiction. 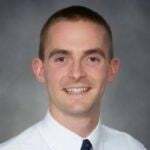 Dr. Hadland was the 2016 recipient of the New Investigator Award from the Society for Adolescent Health and Medicine and has received funding from the Thrasher Research Fund, Society for Adolescent Health and Medicine, and National Institute on Drug Abuse. A recent study by Boston Medical Center researchers estimates that the prevalence of opioid use disorder (OUD) in Massachusetts is far greater than previously believed. The study involved a first-time simultaneous analysis of several linked public health data sets, allowing for a more accurate picture of the impact of opioids in the state than was previously possible. The biggest increases were found among young people aged 11 - 25. According to the report, the OUD prevalence in Massachusetts among people aged 11 years or older grew from 2.72% in 2011, to 3.87% in 2013 and 4.60% in 2015. Previously the number was thought to be closer to 1%. The greatest increase in prevalence was observed among those in the youngest age group (11-25 years), a 76% increase from 2011 to 2012 and a 42% increase from 2013 to 2015. The authors concluded that the number of individuals with OUD is likely increasing, particularly among young people, leading them to suggest that resources be targeted to this at-risk group. "Part of what we're learning by doing this sort of research is who is unknown to the system," said Dr. Joshua Barocas, an infectious disease clinician and lead researcher on the study. "With such large increases over time among children, adolescents and young adults, we can conclude that additional resources should go toward that community." In the first study of its kind, BMC researchers concluded that infants with in-utero opioid exposure, an already vulnerable population, had a three-to-four-fold increased risk for NAS pharmacological treatment if their mothers reported pre-natal food insecurity. NAS and food insecurity are both significant problems, each affecting women with SUDs and their infants. (80% of US infants with NAS are born to mothers with Medicaid insurance, a key low-income marker.) What has been less certain is the relationship between the two conditions and the effect this has on the severity of NAS in infants. To address this knowledge gap, BMC studied the relationship between prenatal food insecurity and NAS severity in 75 women as measured by 1) the infant's need for NAS pharmacological treatment and 2) length of NAS hospital stay. The researchers, led by BMC's Elisha Wachman, found significant associations between prenatal food insecurity and need for pharmacological treatment for NAS in infants. "General interventions for food insecurity are known and available," the authors note. "Given the increasing health care system burden for infants with NAS, research should evaluate how delivery of specific food security interventions might decrease NAS severity and improve long-term infant outcomes." A new BMC study of health centers nationwide finds that only a third of adolescents and emerging adults with Opioid Use Disorder (OUD) were also tested for the Hepatitis C Virus (HCV), an infection of the liver that killed more than 18,000 Americans in 2016. The opioid crisis is highly associated with an increase in HCV infections among 15-30 year-olds who inject drugs. Federally Qualified Health Centers (FQHCs) provide comprehensive healthcare to diverse and underserved communities and often treat patients with OUD. However, little is known about HCV screening practices among adolescents and young adults seen at FQHCs throughout the country. As a result, many are not receiving the life-saving treatment they need to address their HCV. Using a large national sample of more than 250,000 youth seen at FQHCs, BMC researchers learned that only one-third of those diagnosed with OUD were tested for HCV. Overall, 6,812 (2.5 percent) who visited the health centers were tested for HCV and of those, 122 (1.8 percent) tested positive. The study is the first to look at opioid use and HCV testing in at-risk youth, a practice that has become particularly important since HCV treatment has recently been approved for teens. 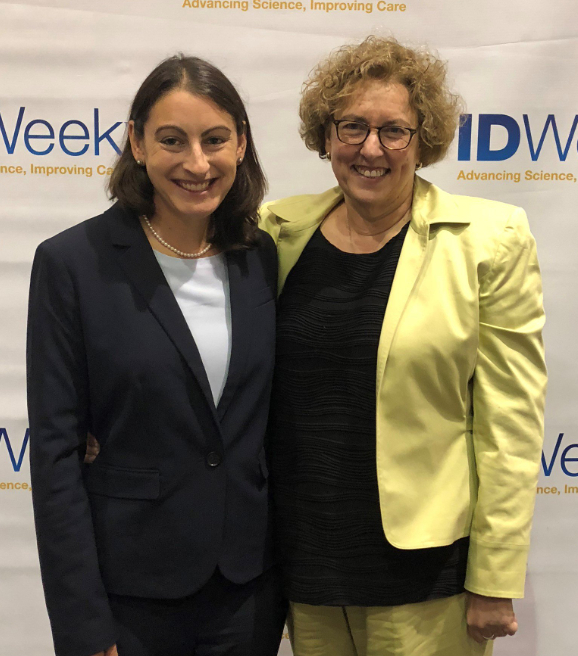 "We're missing an opportunity to identify and treat young people who are at-risk for this deadly infection," said Rachel L. Epstein, MD, MA, lead author of the study and a post-graduate research fellow in the section of infectious diseases, Boston Medical Center. "Screening for OUD and other drug use, and then testing for hepatitis C in those at high-risk, can help us do a better job of eliminating this serious infection, especially now that very effective HCV medications are approved for teenagers." HCV is the most common cause of death from a reportable infectious disease, according to the Centers for Disease Control and Prevention (CDC). It can be spread by sharing needles used to inject drugs. These data suggest that the CDC's goal to eliminate HCV transmissions among injection drug users may not be attainable without substantial effort to improve screening. The Grayken Center for Addiction at Boston Medical Center was launched in 2017 to promote innovation in the delivery of care for people affected by substance use disorders. The Center is a national resource for revolutionizing addiction treatment and education, replicating best practices, and providing policy, advocacy and thought leadership to the field. - With more money spent marketing opioids, more overdose deaths followed, study says. 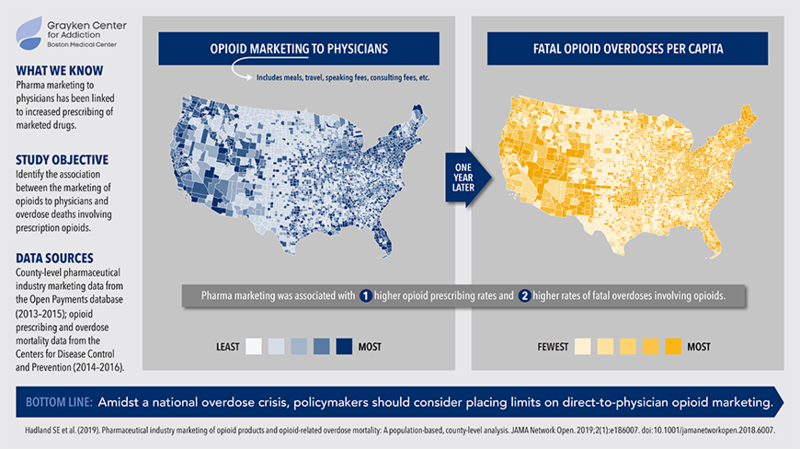 A new study from Grayken faculty Scott Hadland, MD, MPH, MS, finds a link between pharmaceutical marketing spend and overdose deaths. - Nurse Denied Life Insurance Because She Carries Naloxone. Michael Botticelli and Alexander Walley speak out against life insurance denials due to Good Samaritan naloxone prescriptions. - Working together, we can end the opioid epidemic in Massachusetts. The Boston Globe, November 23, 2018. BMC's CEO, along with the CEO of Partners Health Care and Blue Cross Blue Shield MA, issues a call to action, asking businesses to work to end the epidemic. - New Study Finds More People in Massachusetts Struggling With Opioid Addiction. Dr. Joshua Barocas discusses his findings on the high prevalence of opioid use with WGBH. - Opinion: Support families through addiction and recovery. The Herald News, September 12, 2018. This piece by Executive Director Michael Botticelli and the Partnership for Drug Free Kid's Paul Kusiak provides helpful tips for parents concerned about drug and alcohol misuse by their children. - Addiction Center At Boston Medical Unveils New Tool To Help Employers Struggling In The Opioid Epidemic. The Grayken Center for Addiction's new Employer Resource Library is featured.